Pick the Service you wish to order and add to your cart. 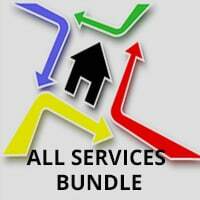 Save a bundle pick the "All Services" bundle. We need your telephone number on file in order for us to contact you when/if you have a service request. The Programs are available and apply only to Customers who own and maintain lines/equipment for single- family, residential use. Lines/equipment used for multi-unit housing and commercial purposes are excluded. Reconnection of the Customer to actual service after a line is repaired or replaced is determined by the local utility. The Programs cover only active lines/equipment which are in good working order at the time of the Customer’s enrollment. Acri HomeProtector reserves the right to inspect a line/equipment for this purpose within sixty (60) days of receipt of Customer’s application. Customer represents he knows of no preexisting line leaks or damage/equipment issues during the last three (3) years. The Programs do not cover updating, moving or replacing non-leaking lines/piping/equipment (inside or outside) required by the gas, water, or sewer company, local government, and/or changes in law, legislation or regulations. The Programs do not cover property damage due to lack of service or the cost of temporary service during the repair period. The Programs do not cover line repair or replacement/equipment repair services for damage from acts of nature, including tree roots, acts of Customer or third parties, fire, flooding, subsidence, natural disasters, abuse, vandalism, or other abnormal causes. The Programs do not cover removal of items/obstacles in order to gain access the line/equipment. Acri HomeProtector reserves the right to refuse service if the line/equipment is not safely and easily accessible for service. Customer should survey his premises before Acri HomeProtector arrives and remove any obstacles obstructing access to the work site. The Programs do not cover restoration of lawns, gardens, trees, shrubbery, walls, fences, paved or concrete surfaces, gravel, and structures. When a line is repaired or replaced, site restoration is limited to backfilling. The Programs do not cover property damage caused by heavy excavating equipment. The Programs do not include hauling away of excess debris. The Programs are not a warranty or insurance policy. All warranties are disclaimed, including the implied warranty of merchantability. Customer’s enrollment in the Programs is on a monthly basis and is subject to acceptance by Acri HomeProtector under applicable laws and subject to credit approval. Program fees are billed in advance to Customers, plus any sales or other taxes that apply. The coverage period commences on the first day of the next month following the statement closing date after receipt of your payment. If a payment due has not been received in full by the closing date, Acri HomeProtector will discontinue your participation in the Program at the end of the last prepaid month. Payments made by Customers enrolled in more than one Acri HomeProtector’ Program will be credited in the following priority: Gas Service Line Protection Program (first priority), the Gas Underground House Line Protection Program, the Gas In-House Line Protection Program, the Water Service Line Protection Program, the Line Protection Restoration Program(s), the Sewer Service Line Protection Program and the Heating/Cooling Protection Program (last priority). Customer may terminate his enrollment in the Program at any time; however, no termination may occur within twelve (12) months of a covered line replacement or repair/equipment repair under the Programs. To terminate before the twelve (12) months, Customer must reimburse the cost of the line replacement or repair/equipment repair. Acri HomeProtector will not refund any pre-payments made to the Protection Programs. If Customer moves, coverage under the Programs does not automatically transfer to the new residence nor does coverage transfer to the new owner. Acri HomeProtector reserves the right to change or terminate Programs, or adjust the Program fees, upon sixty (60) days prior written notice. Acri HomeProtector intends to retain qualified local independent contractors to provide Program services to Customers. Line repair or replacement/equipment repair services will be performed by Acri HomeProtector’ network of service providers (Contractors) and Acri HomeProtector will have no liability to Customer for services rendered by unauthorized third party contractors. Customer must contact Acri HomeProtector at 412-459-0111 to arrange for repair or replacement. Acri HomeProtector will make an effort to accommodate Customer schedules, however, services will be dispatched based upon available times during normal business hours (8:00 am – 5:00 pm), Monday through Friday, except holidays. In no event shall Acri HomeProtector or its contractors be liable for delays or a failure to provide service, materials and/or merchandise. The Contractor will contact the Customer within eighteen (18) hours to arrange for repair or replacement of the line/equipment. If upon inspection, further service and/or materials are required, the Acri HomeProtector Contractor will prepare and provide in writing to Customer an estimate of costs and, upon Customer’s approval, will provide the additional service work. Payment for additional services must be made payable to Contractor at, or prior to, the time of service. Acri HomeProtector reserves the right to refuse service and to refund any Customer payments, less the cos of any work already performed, if upon inspection, it is determined by Acri HomeProtector or its Contractors, in Acri HomeProtector’ or its Contractors’ sole opinion, that (a) the work site is unsafe for workers or (b) the estimated cost exceeds the Programs maximum and Customer does not want to pay the additional costs. In the event Acri HomeProtector makes such a refusal, it will refund all money paid by Customer into the Program, less the cost of any work already performed. Acri HomeProtector and its Contractors are not responsible for removing obstacles in order to gain reasonable access to Customer’s work site. Acri HomeProtector reserves the right to refuse service if the work site is not safely and easily accessible for service. Customer should survey his premises before Acri HomeProtector arrives and remove any obstacles obstructing access to the work site. No employee, agent or representative of Acri HomeProtector has the authority to bind Acri HomeProtector to any oral representation or warranty concerning the site restoration services provided unless set forth in writing and signed by an officer of Acri HomeProtector. ACRI HOMEPROTECTOR EXPRESSLY DISCLAIMS ALL OTHER WARRANTIES, WHETHER EXPRESS OR IMPLIED, INCLUDING BUT NOT LIMITED TO ANY WARRANTY OF MERCHANTABILITY, FITNESS FOR A PARTICULAR PURPOSE OR WARRANTIES ARISING FROM COURSE OF DEALING OR TRADE USAGE. ACRI HOMEPROTECTOR SPECIFICALLY DISCLAIMS ANY AND ALL LIABILITY FOR ENVIRONMENTAL OR PROPERTY DAMAGES AND IN NO EVENT SHALL ACRI HOMEPROTECTOR BE LIABLE FOR ANY INDIRECT, SPECIAL, INCIDENTAL, EXEMPLARY, CONSEQUENTIAL, PUNITIVE, OR OTHER DAMAGES, EVEN IF ADVISED OF THE POSSIBILITY OF SUCH DAMAGES. IN ADDITION, CUSTOMER’S SOLE AND EXCLUSIVE REMEDY AGAINST ACRI HOMEPROTECTOR SHALL BE A REFUND OF FEES ACTUALLY PAID BY CUSTOMER TO ACRI HOMEPROTECTOR WITH RESPECT TO THE SPECIFIC SERVICES OUT OF WHICH LIABILITY AROSE, AND IN NO EVENT SHALL ACRI HOMEPROTECTOR LIABILITY EXCEED THE AMOUNTS ACTUALLY RECEIVED BY ACRI HOMEPROTECTOR FROM CUSTOMER UNDER THE INSTANT CONTRACT WITH RESPECT TO THE SPECIFIC SERVICES OUT OF WHICH THE LIABILITY AROSE. THE LIMITATION ON DAMAGES IN THIS PARAGRAPH SHALL APPLY UNDER ALL THEORIES OF LIABILITY INCLUDING BUT NOT LIMITED TO CONTRACT, WARRANTY, TORT, OR STRICT LIABILITY. ALL CLAIMS, CAUSES OF ACTION, OR LEGAL PROCEEDINGS BROUGHT BY CUSTOMER AGAINST ACRI HOMEPROTECTOR MUST BE COMMENCED BY CUSTOMER WITHIN ONE (1) YEAR OF THE DATE OF THE SERVICE OUT OF WHICH LIABILITY AROSE. FAILURE TO COMMENCE ANY SUCH CLAIM, CAUSE OF ACTION OR LEGAL PROCEEDING WITHIN SUCH PERIOD SHALL CONSTITUTE CUSTOMER’S VOLUNTARY AND KNOWING WAIVER THEREOF. Any failure by Acri HomeProtector to enforce any of the provisions of these terms and conditions will not be construed as a waiver of such provisions or Acri HomeProtector’ right to enforce each and every provision on subsequent occasions. In the event any provision(s) of these terms and conditions are found to be invalid or unenforceable, the parties hereby agree that the court shall enforce such provision(s) to the extent permitted by law and, to the extent such provision(s) is not enforceable, shall enforce the remainder of the terms and conditions as if such provision(s) were not included in this contract. Acri HomeProtector reserves the right to refuse service or to refuse to honor service warranties, or to refuse to honor certificates or discounts if Customer fails to timely pay all service fees, or if Customer’s account is past due for any other reason. This contract shall be deemed to have been entered into and shall be governed by the internal substantive laws of the Commonwealth of Pennsylvania, without regard to its conflicts of laws provisions. 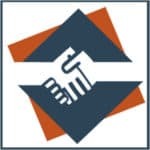 These terms and conditions and the matters set forth on the face of this document, constitute the entire agreement between Customer and Acri HomeProtector. No subsequent modifications, amendments, or representations become part of this contract unless expressly agreed to in writing by an authorized representative of Acri HomeProtector. The following sections are applicable to the individual Programs in which you enroll. As noted on cover sheet, receipt of these terms and conditions does not indicate enrollment in any of the Programs. The Gas Underground House Line Protection Program (Program) is available to Customers who own and maintain a gas underground house line to their single-family residence which has been taken out of service by the local utility in the event of a line break or leak caused by normal wear and tear. The Program only covers lines in size up to two inches (2”) in diameter and having a maximum length of one hundred twenty-five feet (125’). The maximum Acri HomeProtector will pay to repair or replace a gas underground house line under the Program is $2,500. The Program only covers the active outside gas underground house line spanning from the Customer’s gas meter in the yard to the foundation of the Customer’s house and which are in good working order at the time of Customer’s enrollment. The Program covers only labor and materials to repair or replace a gas underground house line from the Customer’s gas meter to the foundation of the Customer’s house in the event of a line failure, leak or rupture due to ordinary wear and tear. The Program does not cover the repair or replacement of gas lines above ground from the meter to, or the inside of, the Customer’s residence, nor does it cover the movement of working pipes or lines due to recommendations of the utility. The Program does not cover extensions of the inside gas in-house line to gas lamps, gas grills, gas patio heaters, gas pool heaters, gas garage heaters, and gas driveway heaters. The Water Service Line Protection Program (Program) is available to Customers who own and maintain a water service line to their single-family residence which has been taken out of service by the local utility in the event of a line break or leak caused by normal wear and tear. The Program only covers lines in size up to one inch (1”) in diameter and having a maximum length of one hundred twenty-five feet (125’). The maximum Acri HomeProtector will pay to repair or replace a water service line under the Program is $2,500. The Program only covers active water service lines spanning from the Customer’s water meter to the water curb box and which are in good working order at the time of Customer’s enrollment. The Program covers only labor and materials to repair or replace a water service line from the Customer’s water meter to the water curb box in the event of a line failure, leak or rupture due to ordinary wear and tear. The Program does not cover the repair or replacement of water lines from the meter to, or inside of, the Customer’s residence. The Program does not cover or include the repair or replacement of a leaking or non- leaking water shut off valve nor does it cover the movement of working pipes or lines due to recommendations of the utility. The Program does not cover water service lines connected to wells, cisterns, or water systems for pools, hot tubs, sprinklers and other outdoor systems, nor does it cover the repair or replacement of water lines connected to remote meter vaults or pits. 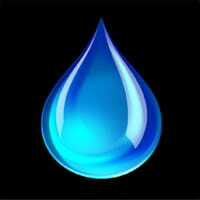 Customer must contact water company to report water service line leak. Once the water company has tagged the location of the water leak, Customer must contact Acri HomeProtector at 412-459-0111 to arrange for confirmation, and then line repair or replacement. The Gas In-House Line Protection Program (Program) is available to Customers who own and maintain a gas in- house line to their single-family residence which has been taken out of service by the local utility in the event of a line break or leak caused by normal wear and tear. 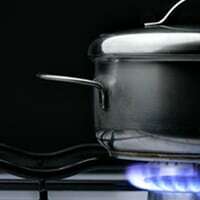 The maximum Acri HomeProtector will pay to repair or replace a gas in-house line under the Program is $2,500. 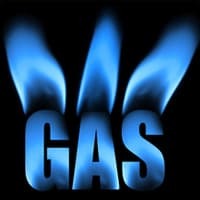 The Program only covers active gas in-house lines spanning from the Customer’s gas meter to the appliance connectors and which are in good working order at the time of Customer’s enrollment. 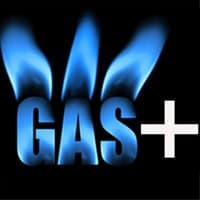 The Program covers only labor and materials to repair or replace a gas in-house line from the Customer’s meter to the appliance connectors in the event of a line failure, leak or rupture due to ordinary wear and tear. The Program does not cover any exterior or underground piping, it does not cover the movement of the gas meter at the time of repair or replacement, nor does it cover the repair or replacement of appliances and/or appliance connectors, including but not limited to, range connectors, automatic gas valves at the furnace, thermostats at the hot water heater, house line extensions to gas fireplace valves, gas log lighters, gas logs, gas grills, gas lamps, gas garage heaters, gas pool heaters, gas driveway heaters, nor does it cover the movement of working pipes or lines due to recommendations of the utility. 1. The Sewer Service Line Protection Program (Program) is available to Customers who own and maintain a sewer service line to their single-family residence in the event of a line break or leak caused by normal wear and tear. 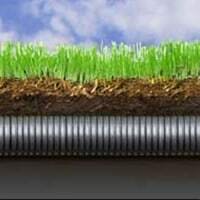 The Program only covers lines in size up to six inches (6”) in diameter and having a maximum length of one hundred twenty-five feet (125’). The maximum Acri HomeProtector will pay to repair or replace a sewer service line under the Program is $4,000. The Program only covers active sewer service lines spanning from the foundation of the Customer’s house to the main sewer service line and which are in good working order at the time of Customer’s enrollment. The Program covers only labor and materials to repair or replace a sewer service line from the Customer’s house to the main sewer service line in the event of a line failure, leak or rupture due to ordinary wear and tear. The Program does not cover the repair or replacement of sewer lines inside the Customer’s foundation and/or inside of the Customer’s residence, nor does it cover the movement of working pipes or lines due to recommendations of the utility. The Program does not cover sewer service lines connected to septic systems, leach field/beds, sand mounds or pumping stations, or any sewer lines not connected to a public sewer system. The Program does not cover repair or replacement due to dye and/or smoke test failure. The Program does not cover property damage due to back-up of sewer and/or drains. The Heating/Cooling Protection Program (Program) is available to Customers who own and maintain heating/cooling equipment for their single-family residence. Each Program enrollment covers one (1) natural gas-fueled heating unit (e.g., a natural gas furnace or hot water boiler) and one (1) electric-powered central cooling unit (e.g., an electric air conditioner). For Customer houses that have more than one heating and/or cooling system, Customer acknowledges and agrees that the purchase of a single Acri HomeProtector Heating/Cooling Protection Program shall cover only the primary heating system and/or cooling system. 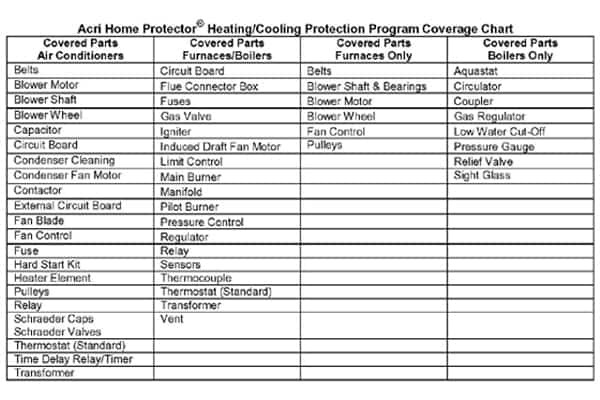 An additional Acri HomeProtector Heating/Cooling Protection Program agreement may be purchased by Customer for each additional unit. Multi-unit systems and equipment used for multi-unit housing, mobile homes, and commercial purposes are excluded. The maximum Acri HomeProtector will pay to repair or replace equipment covered under the Program is $600 annually and shall not be liable to Customer for any repair or replacement of equipment in excess of such maximum amount. The Program covers only parts in the Coverage Chart (below). Parts not shown in the coverage chart and related labor are not covered. Exclusions include, but are not limited to, heat exchangers, compressors, refrigerant leaks, humidifiers, air cleaners and heat pumps. This Program covers most residential equipment regardless of manufacturer, make, model or age provided that Acri HomeProtector and/or its contractors are able to obtain replacement parts for the unit(s). Acri HomeProtector and its approved contractors shall not be responsible for services provided and parts installed by third parties unless such services were provided and parts were installed in accordance with the manufacturers’ specifications and all applicable laws, codes, rules and regulations. Replacement parts will be selected at the sole discretion of Acri HomeProtector and its contractors. Acri HomeProtector reserves the right to make any final decisions regarding the scope and interpretation of the Program. All covered equipment must be installed in accordance with the manufacturers’ specifications and all applicable laws, codes, rules and regulations. The Program does not cover any unit that required repair prior to Customer’s enrollment in the Program. Acri HomeProtector reserves the right to inspect each unit up to sixty (60) days of receipt of Customer’s application and to reject such application if the equipment to be covered is not functioning properly. If the furnace part(s) fail as a result of Customer using the air conditioner, the repairs for such failure will only be covered by Acri HomeProtector if Customer is enrolled in either the Cooling Protection Program or the Heating/Cooling Protection Program. 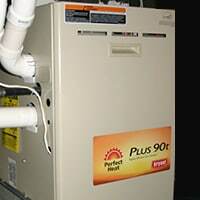 The working parts of the furnace will not be covered if Customer only has coverage under the Heating Protection Program. This Line Protection Restoration Program (Program) is available only to customers who are currently/actively enrolled in Acri HomeProtector Gas Service Line Protection Program and/or Water Service Line Protection Program (the “LP Programs”). This Program covers only the labor and materials for site restoration after a service line repair has been performed under one or more of the LP Programs and is limited to:Grass Restoration: This Program will cover the restoration of the existing grass or mulch bed located ove the area disturbed by any excavation made in conjunction with an LP Program and will include tamping, adding topsoil and either, in Acri HomeProtector’s sole discretion, (i) reseeding and covering the reseeded area with straw or (ii) laying sod.Concrete or Asphalt Restoration: This Program will cover the repair or replacement of existing concrete or patching of asphalt for items such as driveway sections, sidewalk pads, curbs or walkways that weredisturbed by any excavation made in conjunction with a LP Program. Acri HomeProtector’s obligation under the Program shall be limited to one thousand dollars ($1,500) per restoration. If Acri HomeProtector determines that the cost of a restoration under the Program will exceed one thousand dollars ($1,500), the customer will be allowed to choose where to allocate his/her entire restoration allowance. (e.g., the entire $1,500 allowance may be applied to concrete replacement in lieu of grassrestoration). Customers choosing to allocate their full allowance to a particular segment of a site restoration project will be required to sign documentation to that effect. All concrete and asphalt work will be performed to the highest of standards for preparation and finishing to prevent cracking, sinking and deterioration under normal conditions. All work will be completed in accordance with all applicable laws, codes, rules and regulations. Acri HomeProtector is not responsible for cracks in the concrete resulting from freezing, thawing, settling of ground or for damage or deterioration of concrete surfaces which have been subjected to ice thawing materials such as salt. Asphalt patches are not guaranteed. If Acri HomeProtector performed the original backfill, tamp and reseeding work over the gas or water service line excavation and there is settling that requires more topsoil, tamping and reseeding during the next six (months from the original service date, Acri HomeProtector will take corrective measures such as adding more topsoil/fill, tamping and reseeding. The decision to replace unresponsive grass will be made by Acri Home Protection on a case-by-case basis. 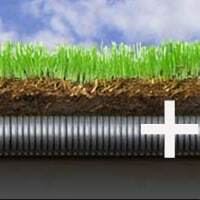 Grass that dies within the first thirty (30) days of planting will be replacedunless it died as a result of improper care by the Customer, drought, freezing, flooding, fire, abuse, vandalism, subsidence, natural disasters, other acts of nature, or other abnormal causes. Services do not cover any inspections and all concrete/asphalt site restoration work is provided to the customer “AS IS” with no warranty of any kind. This Program does not cover site restoration required as a result of acts of nature, acts of Customer or third parties, drought, freezing, fire, flooding, subsidence, natural disasters, abuse, vandalism, or other abnormal causes. Customer’s enrollment in the Program is on a monthly basis and is subject to acceptance by Acri HomeProtector under applicable laws and subject to credit approval. Program fees are billed in advance to Customers, plus any sales or other taxes that apply. The coverage period commences on the first day of the next month following the statement closing date after receipt of your payment. If a payment due has not been received in full by the closing date, Acri HomeProtector will discontinue your participation in the Program at the end of the last prepaid month. Payments made by Customers enrolled in more than one Acri HomeProtector’s program will be credited in the following priority: Gas Service Line Protection Program (first priority), the Gas Underground House Line Protection Program, the Gas In-House Line Protection Program, the Water Service Line Protection Program, the Line Protection Restoration Program, the Sewer Service Line Program, and the Heating/Cooling Protection Program (last priority). Customer may terminate his/her enrollment in the Program at any time; however, no termination may occur within 12 months of a covered site restoration or repair under the Program. To terminate before the 12 months, Customer must reimburse the cost of the site restoration. Acri HomeProtector will not refund any pre- payments made to the Line Protection Restoration Program. Acri HomeProtector reserves the right to change or terminate Program, or adjust the Program fees, upon sixty (60) days prior written notice. Site restoration services will be performed by Acri HomeProtector’ network of service providers. Acri HomeProtector will make an effort to accommodate Customer schedules, however, services will be dispatched based upon available times during normal business hours (8:00 am – 5:00 pm), Monday through Friday, except holidays. In no event shall Acri HomeProtector or its contractors be liable for delays or a failure to provide service, materials and/or merchandise. Acri HomeProtector will contact Customer within ten (10) days of the completed line repair to arrange for the site restoration work. If upon inspection, further service and/or materials are desired or required, Acri HomeProtector’ Contractor will prepare and provide in writing to Customer an estimate of costs and, upon Customer’s approval, will provide the additional service work and bill Customer for such labor and/or materials. Payment for additional services mustbe made payable to Contractor at, or prior to, the time of service. Acri HomeProtector reserves the right to refuse service and to refund any Customer payments, less the costof any work already performed, if upon inspection, it is determined by Acri HomeProtector or its Contractors, in Acri HomeProtector’ or its Contractors’ sole opinion, that (a) the work site is unsafe for workers or (b) the estimated cost exceeds the Program maximum of $1,000 and Customer does not want to pay the additional costs or (c) the existing Landscape-Asphalt-Concrete materials are in such poor condition that service would be ineffective or unsatisfactory. In the event Acri HomeProtector makes such a refusal, it will refund all money paid by Customer into the Program less the cost of any work already performed. Acri HomeProtector and its Contractors are not responsible for removing obstacles in order to gain reasonable access to Customer’s work site. Acri HomeProtector reserves the right to refuse service if the work site is not safely and easily accessible for service. Customer should survey its premises before Acri HomeProtector arrives and remove any obstacles obstructing access to the work site. ACRI HOMEPROTECTOR SPECIFICALLY DISCLAIMS ANY AND ALL LIABILITY FOR ENVIRONMENTAL OR PROPERTY DAMAGES AND IN NO EVENT SHALL ACRI HOMEPROTECTOR BE LIABLE FOR ANY INDIRECT, SPECIAL, INCIDENTAL, EXEMPLARY, CONSEQUENTIAL, PUNITIVE, OR OTHER DAMAGES, EVEN IF ADVISED OF THE POSSIBILITY OF SUCH DAMAGES. IN ADDITION, CUSTOMER’S SOLE AND EXCLUSIVE REMEDY AGAINST ACRI HOMEPROTECTOR SHALL BE A REFUND OF FEES ACTUALLY PAID BY CUSTOMER TO ACRI HOMEPROTECTOR WITH RESPECT TO THE SPECIFIC SERVICES OUT OF WHICH LIABILITY AROSE, AND IN NO EVENT SHALL ACRI HOMEPROTECTOR’ LIABILITY EXCEED THE AMOUNTS ACTUALLY RECEIVED BY ACRI HOMEPROTECTOR FROM CUSTOMER UNDER THE INSTANT CONTRACT WITH RESPECT TO THE SPECIFIC SERVICES OUT OF WHICH THE LIABILITY AROSE. THE LIMITATION ON DAMAGES IN THIS PARAGRAPH SHALL APPLY UNDER ALL THEORIES OF LIABILITY INCLUDING BUT NOT LIMITED TO CONTRACT, WARRANTY, TORT, OR STRICT LIABILITY. c. Are in place and in proper working order on the effective date of this home warranty contract. This contract does not cover any known or unknown pre-existing conditions. It is understood that WE ARE NOT A SERVICE PROVIDER and are not undertaking to repair or replace any such systems or components. This contract covers single-family homes (including manufactured homes), new construction homes, condominiums, townhomes, and mobile homes under 5,000 square feet, unless an alternative dwelling type (i.e. above 5,000 square feet or multi-unit home) is applied, and appropriate fee is paid. Coverage is for occupied, owned or rented residential property, not commercial property or residences used as businesses, including, but not limited to, day care centers, fraternity/sorority houses, and nursing/care homes. This contract describes the basic coverage and options available. Coverage is subject to limitations and conditions specified in this contract. Please read your contract carefully. NOTE: This is not a contract of insurance, residential service, warranty, extended warranty, or implied warranty. Coverage starts 30 days after acceptance of application by Us and receipt of $25.00, and continues for 365 days from that date provided the $25.00 continues to be paid monthly. a. You or your agent (including tenant) must notify Us for work to be performed under this contract as soon as the problem is discovered. 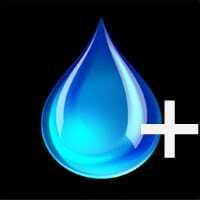 We will accept service calls 24 hours a day, 7 days a week, 365 days a year at 412-459-0111. Notice of any malfunction must be given to Us prior to expiration of this contract. b. Upon request for service, We will contact an authorized Service Provider within two (2) days during normal business hours and four (4) days on weekends and holidays. The authorized Service Provider will contact You to schedule a mutually convenient appointment during normal business hours. We will determine what repairs constitute an emergency and will make reasonable efforts to expedite emergency service. If You should request Us to perform non-emergency service outside of normal business hours, You will be responsible for payment of additional fees and/or overtime charges. c. We have the sole and absolute right to select the Service Provider to perform the service; and We will not reimburse for services performed without prior approval. d. You will pay a $50 trade service call fee (“Service Fee”) per claim or the actual cost, whichever is less. The Service Fee is for each visit by Our approved Service Provider, except as noted otherwise, and is payable to Our approved Service Provider at the time of each visit. The service fee applies to each call dispatched and scheduled, including but not limited to those calls wherein coverage is included, excluded, or denied. The service fee also applies in the event You fail to be present at a scheduled time, or in the event You cancel a service call at the time a service contractor is in route to your home or at your home. Failure to pay the Service Fee will result in suspension or cancellation of coverage until such time as the proper Service Fee is paid. At that time, coverage may be reinstated; however, the contract period will not be extended. e. If service work performed under this contract should fail, then We will make the necessary repairs without an additional trade service call fee for a period of 90 days on parts and 30 days on labor. The Coverage is for no more than one unit, system, or appliance. 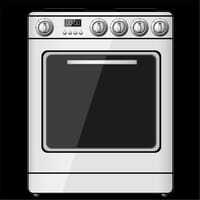 e. OVEN/RANGE/STOVE/COOKTOP (Gas or Electric; Built-in, Portable or Free Standing). EXCLUDED: Racks - Baskets – Rollers – Hinges – Handles – Doors – Door gaskets – Damage caused by broken glass - Cleaning. a. The following are not included during the contract term; (i) malfunction or improper operation due to rust or corrosion of all systems and appliances, (ii) collapsed ductwork, (iii) known or unknown pre-existing conditions. b. We are not responsible for providing access to or closing access from any covered item which is concrete-encased or otherwise obstructed or inaccessible. c. At times it is necessary to open walls or ceilings to make repairs. The Service Provider obtained by Us will close the opening, and return to a rough finish condition. We are not responsible for restoration of any wall coverings, floor coverings, plaster, cabinets, counter tops, tiling, paint, or the like. d. We are not responsible for the repair of any cosmetic defects or performance of routine maintenance. e. Electronic or computerized energy management or lighting and appliance management systems, solar systems and equipment are not included. 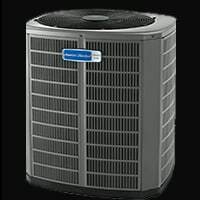 f. You may be charged an additional fee by the Service Provider to dispose of an old appliance, system or component, including, but not limited to the following items: condensing units, evaporator coils, compressors, capacitors, refrigerators, freezers, water heaters, and any system or appliance which contains dangerous or hazardous materials. g. We are not liable for service involving hazardous or toxic materials including but not limited to mold, lead paint, or asbestos, nor costs or expenses associated with refrigerant recovery, recycling, reclaiming or disposal. We are not liable for any failure to obtain timely service due to conditions beyond Our control, including, but not limited to, labor difficulties or delays in obtaining parts or equipment. h. We are not liable for repair of conditions caused by chemical or sedimentary build up, rust or corrosion, mildew, mold, misuse or abuse, failure to clean or maintain as specified by the equipment manufacturer, missing parts, structural changes, fire, freezing, electrical failure or surge, water damage, lightening, mud, earthquake, soil movement, soil settlement, settling of home, storms, accidents, pest damage, acts of God, or failure due to excessive or inadequate water pressure. h. We have the sole right to determine whether a covered system or appliance will be repaired or replaced. We are responsible for installing replacement equipment of similar features, capacity, and efficiency, but not for matching dimensions, brand or color. We are not responsible for upgrades, components, parts, or equipment required due to the incompatibility of the existing equipment with the replacement system or appliance or component or part thereof or with new type of chemical or material utilized to run the replacement equipment including, but not limited to, differences in technology, refrigerant requirements, or efficiency as mandated by federal, state, or local governments. If parts are no longer available, We will offer a cash payment in the amount of the average cost between parts and labor of the covered repair. We reserve the right to locate parts at any time. For the first 30 days of the contract period, We are not liable for replacement of entire systems or appliances due to obsolete, discontinued or unavailability of one or more integral parts. However, We will provide reimbursement for the costs of those parts determined by reasonable allowance for the fair value of like parts. We reserve the right to rebuild a part or component, or replace with a rebuilt part or component. i. We are not liable for repairs related to costs of construction, carpentry or other incidental costs associated with alterations or modifications of appliances, components or installation of different equipment and/or systems. Except as required to maintain compatibility with equipment manufactured to be 13 SEER and/or 7.7 HSPF or higher compliant, We are not responsible for providing upgrades, components, parts or equipment required due to the incompatibility of the existing equipment with the replacement system, appliance or component/part, including but not limited to efficiency as mandated by federal, state or local governments. j. We are not responsible for repairs related to inadequacy, lack of capacity, improper installation, mismatched systems, oversized systems, undersized systems, previous repair or design, manufacturer’s defect, and any modification to the system or appliance. k. We are not liable for normal or routine maintenance. We will not pay for repairs or failures that result from the Contract holder’s failure to perform normal or routine maintenance. For example, You are responsible for providing maintenance and cleaning pursuant to manufacturers’ specifications, such as periodic cleaning of heating and air conditioning systems, evaporator coils and condenser coils, as well as periodic filter replacement. l. We are not liable for the repair or replacement of commercial grade equipment, systems or appliances. We shall pay no more than $1,000 in aggregate for professional series or like appliances such as, but not limited to, brand names such as Sub Zero, Viking, Wolf, Bosch, Jenn-Air, GE Monogram, Thermador, and etc. m. We reserve the right to obtain a second opinion at Our expense. n. We are not responsible for any repair, replacement, installation, or modification of any covered system or appliance arising from a manufacturer’s recall or defect of said covered items, nor any covered item while still under an existing manufacturer’s, distributor’s, or in-home warranty. o. We reserve the right to offer cash back in lieu of repair or replacement in the amount of Our actual cost (which at times may be less than retail) to repair or replace any covered system, component or appliance. p. We are not responsible for the repair or replacement of any system or appliance or component or part thereof that has been previously, or is subsequently, determined to be defective by the Consumer Product Safety Commission or the manufacturer and for which either has issued, or issues, a warning or recall, or which is otherwise necessitated due to failure caused by the manufacturer’s improper design, use of improper materials, formula, manufacturing process or other manufacturing defect. q. We will not pay for the repairs or replacement of any covered systems or appliances if they are inoperable as a result of known or unknown pre-existing conditions, deficiencies and/or defects. r. You agree that We are not liable for the negligence or other conduct of the Service Provider, nor are We an insurer of Service Provider’s performance. You also agree that We are not liable for consequential, incidental, indirect, secondary, or punitive damages. You expressly waive the right to all such damages. Your sole remedy under this agreement is recovery of the cost of the required repair or replacement, whichever is less. You agree that, in no event, will Our liability exceed $1,500 per contract item for access, diagnosis and repair or replacement. In the event of a dispute over claims or coverage You agree to file a written claim with Us and allow Us thirty (30) calendar days to respond to the claim. The parties agree to mediate in good faith before resorting to mandatory arbitration in the State of Pennsylvania. a. Any and all disputes, claims and causes of action arising out of or connected with this Agreement shall be resolved individually, without resort to any form of class action. b. Any and all disputes, claims and causes of action arising out of or connected with this Agreement (including but not limited to whether a particular dispute is arbitrable hereunder) shall be resolved exclusively by the American Arbitration Association in the state of Pennsylvania under its Commercial Mediation Rules. Controversies or claims shall be submitted to arbitration regardless of the theory under which they arise, including without limitation contract, tort, common law, statutory, or regulatory duties or liability. c. Any and all claims, judgments and awards shall be limited to actual out-of-pocket costs incurred to a maximum of $1500 per claim, but in no event attorneys' fees. d. Under no circumstances will you be permitted to obtain awards for, and you hereby waives all rights to claim, indirect, punitive, incidental and consequential damages and any other damages, other than for actual out-of-pocket expenses, and any and all rights to have damages multiplied or otherwise increased. All issues and questions concerning the construction, validity, interpretation and enforceability of this Agreement, shall be governed by, and construed in accordance with, the laws of the State of Pennsylvania, U.S.A. without giving effect to any choice of law or conflict of law rules (whether of the State of Pennsylvania or any other jurisdiction), which would cause the application of the laws of any jurisdiction other than the State of Pennsylvania. a. We will not contract for services to meet current building or zoning code requirements or to correct for code violations, nor will it contract for services when permits cannot be obtained. We will not pay for the cost to obtain permits. b. Except as required to maintain compatibility with equipment manufactured to be 13 SEER and/or 7.7 HSPF or higher compliant, We are not responsible for upgrade or additional costs or expenses that may be required to meet current building or zoning code requirements or correct for code violations. This includes city, county, state, federal and utility regulations and upgrades required by law. a. If your covered property is sold during the term of this contract You must notify Us of the change in ownership and submit the name of the new owner by phoning 412-459-0111 in order to transfer coverage to the new owner. b. You may transfer this contract at any time. There is no fee to transfer contract. c. This contract may be renewed at Our option and where permitted by state law. In that event You will be notified of the prevailing rate and terms for renewal. d. If You select the monthly payment option and We elect to renew your contract, We will notify You of applicable rate and terms of renewal during the tenth month of your contract. You will automatically be renewed for a monthly coverage period unless You notify Us in writing 30 days prior to the expiration of the contract. Your first payment for the next contract term will be construed as authorization for month-to-month charges. This is a maintenance agreement for repair, replacement, or partial replacement of the products listed that are deemed manufactured or sold by the manufacturer. This is not a contract of insurance, residential service, warranty, extended warranty, or implied warranty. You may cancel within the first 30 days of the order date for a refund of the paid contract fees, less a $50 administrative fee and any service costs incurred by Us. d. Mutual agreement of Us and You. If canceled after 30 days, You shall be entitled to a pro rata refund of the paid contract fee for the unexpired term, less a $50 administrative fee and any service costs incurred by Us. All cancellation requests must be submitted in writing. Please check the boxes on the following statements to confirm you have read and understand the specifics of these particular terms and conditions. I understand that the Home Protection Plans are a subscription service and that I will be charged each and every month. I understand I must contact Acri HomeProtector at 412-459-0111 to arrange for Protection Plan repair or replacement service. Acri HomeProtector intends to retain qualified local independent contractors to provide Program services to Customers. The Contractor will contact the Customer within eighteen (18) hours to arrange for repair or replacement of the line/equipment. I understand that all cancellation requests must be submitted in writing. You may cancel within the first 30 days of the order date for a refund of the paid contract fees, less a $50 administrative fee and any service costs incurred by Us.